What makes a Woman Thrive? 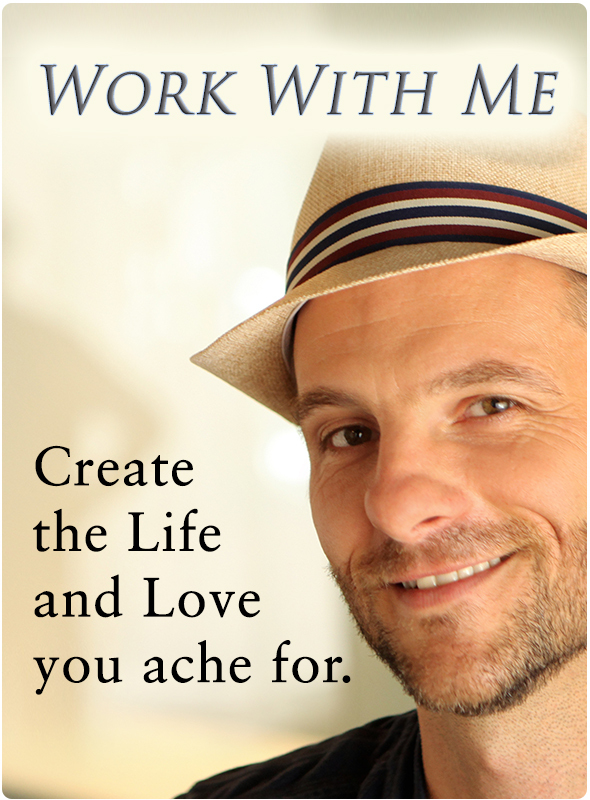 This past summer, I worked with 80 women as my coaching clients. We shared deep, intimate conversations around their day-to-day challenges, their intimate struggles with men (and in some cases, women), their frustrations in the workplace, and more … and then we dove into what their hearts profoundly yearned for. I worked with women who had everything: nice homes, their own businesses, children and partners, money. Yet in too many cases these same women felt as disconnected and empty as many men do who have also accumulated things and people only to find that somewhere along the way, they lost themselves. They forgot who they truly were in their deepest heart, if they ever knew at all. Some women had no sense at all of who they really were. Many women were raised by fathers who wished they were boys. As little girls, they quickly learned to get love from their dads by acting like boys. Then they brought that lesson into adulthood. They assumed they were more masculine women, but then never really liked the more feminine, wimpy men they attracted rather than the strong masculine men they really wanted. Many women were raised by fathers who had so disowned their own internal feminine energies that they could not ever really connect with their daughters. So these feminine daughters grew up aching for a mature, full masculine presence to fill their hearts with masculine love. As adults, they tried over and over to fill that emptiness with substitute forms of masculine energy (men, work, ambition, etc. ), which only made the wound hurt more when those substitutes could never provide the rich, unconditional love only a fully present father’s could provide. Many women grew up abused by the boys and men in their midst. As many as 1 in 5 girls is a victim of child sexual abuse. These girls often bring that completely understandable distrust of masculine beings into their adult relationships. All women were raised in a culture that worships masculine expression over feminine. So most all women, just to survive, have to learn how to express their masculine energies at the expense of their more effortless feminine ways. For some women who are more masculine in their core experience, this isn’t as difficult (although even that has it’s challenges in our still quite misogynistic culture). But for most women who identify as being more feminine in their deepest core, this agony can burn inside their deepest heart for a lifetime. Sadly, too many modern women have paved over that quiet despair with a masculine facade designed to help them survive – and even thrive – in the world of competitive business, government, education, and pretty much everywhere money is at stake. In doing so, many modern women lose their sense of who they truly are, of what makes them feel truly alive. They don’t really know how to give their wondrous feminine gifts to the world, to their partners. Don’t get me wrong, women are amazing and still manage to be great partners, lovers, mothers, friends, leaders, and more, despite the cultural winds oriented against them. Perhaps a feminine woman’s greatest gift to the world is to radiate as love, itself. Her feminine heart is always seeking to express her love, and receive it, in all the countless ways that happens. But we don’t really pay well for that gift. Unless that love is sexualized. Otherwise, we pay far more for the masculine gifts of analysis and blowing through obstacles to accomplish a mission. So women either learn to live more from their masculine energies, or they struggle to pay their bills. Either way, a predominantly feminine women struggles to truly thrive. We can only be authentically happy when we are giving the gift of our true self to the world. As a man with three amazing sisters and two powerful, brilliant mothers, who grew up with disoriented masculine fathers, I know how critical this conversation is, for women AND for men. After working with these 80 female clients … after serving in the US Air Force with women who had to act like men to get by … in witnessing just how violent our planet remains, not just in war and crime, but in cutthroat business and politics, and in our everyday communities where 70% of women will experience some form of violence in their lifetimes … and with all I’m learning about what it means to be a healthy, mature masculine man, and how ignorant I’ve been my whole life … after all that, I simply must take action to address the collective insanity. I must take action to restore healthy respect of the feminine gift on our planet. Not at the expense of healthy masculine expression, but in partnership with it. Our planet does not currently express a predominantly heathy masculine energy, so I’ve got work to do there, too. I know this is a big mission. I doubt it’ll get fixed in my lifetime. But I can’t imagine a more worthy adventure to throw myself into now. Nor a more important one. Human civilization may very well be at stake, if we allow the immature masculine ethos to continue running rampant across the planet, trampling in ways big and small the essential gifts of the feminine nature. This is why I have created “The Thriving Woman Experience,” a free monthly global teleconference. I’m partnering with an amazing woman, Kristina Italic, who coaches woman in business and in life, and we’re inviting women to offer their input on this essential question: What does it take for a woman to thrive in the 21st Century? Men are welcome. Strongly encouraged, even. As women thrive, so shall our entire planet truly thrive. It cannot be any other way.